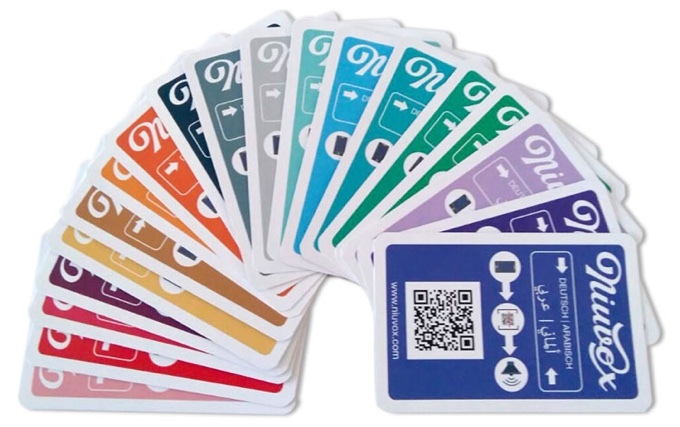 THE NIUVOX LEARNING CARDS. AS EASY AS IT SOUNDS. 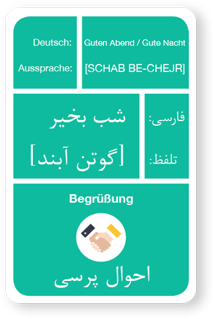 A fast introduction to German/Arabic and German/Farsi. 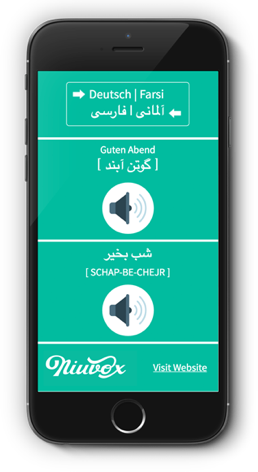 The NIUVOX learning tool is a great “First Aid” for Arabic and Farsi speaking individuals who just arrived in a German speaking country. 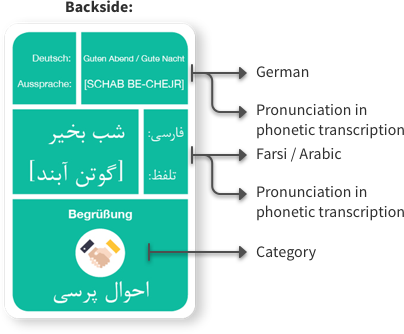 Volunteers without any Arabic or Farsi knowledge can also benefit from this tool. 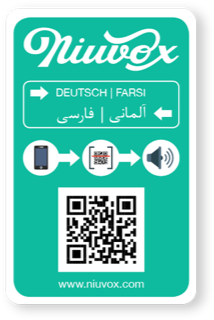 Learn a language the fun way with the NIUVOX Learning Cards. USEFUL FOR EVERY DAY LIFE. 220 Learning Cards divided into 20 categories for EUR 10,- only. The NIUVOX Learning Cards do not replace a language class. They are meant to facilitate the communication in day to day life. The German Language can be learned in an easy, fun and correct way. 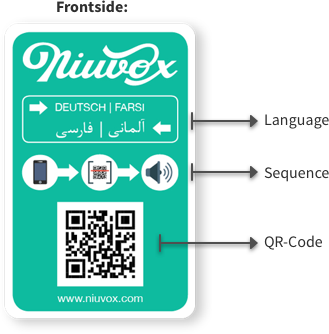 The high quality and the different possible uses of the tool, make the NIUVOX Learning Cards great for self-study. The tool can also be used as a foundation before the first German class. Simple tasks such as shopping or going to the doctor can be a challenge. 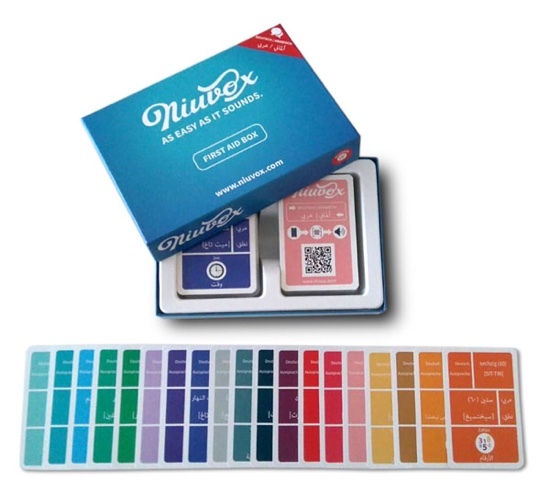 The NIUVOX Learning Cards are made in such a way, that you can mix and match the cards you need to get what you want. Get your point across with less then 40 learning cards. Get what you need: with less than 30 cards. The NIUVOX learning cards in our FIRST AID BOX. 220 learning cards for only 10 EURO!